The Isla Vista Community Services District (IVCSD) will be allocating $33,028 in funds to implement a landlord/tenant mediation program by contracting the Santa Barbara Legal Aid Foundation. Spanish translation services are also included. The program began Apr. 1, will run until Dec. 31 and will be in service 10 hours per week, available to all Isla Vista residents. Unlike cities that are legally required to provide a specific set of services, community service districts only have to take on services a community wants to have control over, such as parking, street lighting and in this case, tenant rights. However, Jonathan Abboud, the IVCSD’s general manager, indicated that is often not the case. While both organizations seek to empower tenants, IVCSD’s landlord/tenant mediation program differs greatly from the aid that is offered by IVTU. “Though IVTU advocates for mediation services, it is not a mediation service. IVTU is a representative group which is extremely different from what we’re doing which is creating a system,” said Abboud. According to their website, IVTU educates tenants on their rights and responsibilities, acts as a resource when problems arise, and reaches out to relevant groups and individuals. When the Abrego apartment tenants were unjustly evicted from their residence back in 2015, IVTU launched a public awareness campaign and held a housing forum. While the IVTU can and has worked in partnership with the Associated Students Legal Resource Center (ASLRC) and the Legal Resource Center of Santa Barbara County (LRC), it is not a contractual relationship. IVTU did not respond for comment. The assistance offered by the LRC comes in the form of “completion of legal and court documents for various civil matters and infractions, and in properly presenting your case to the court.” The center is also funded by the Legal Aid Foundation of Santa Barbara, which is the same foundation IVCSD will be employing for the mediation program. The $33,028 program budget is higher than the preliminary estimate of $27,028 from IVCSD’s Agenda and Minutes from Mar. 20. According to Abboud, the larger budget includes more money for promotion, legal help and administration. Funding for the landlord/tenant program will come from UCSB’s seven-year grant to IVCSD, in which IVCSD receives $200,000 annually. Isla Vista tenants can access the landlord/tenant mediation program by contacting the IVCSD. A form will be filled out and the IVCSD will coordinate with all three parties (landlord, tenant, and mediator) going forward. 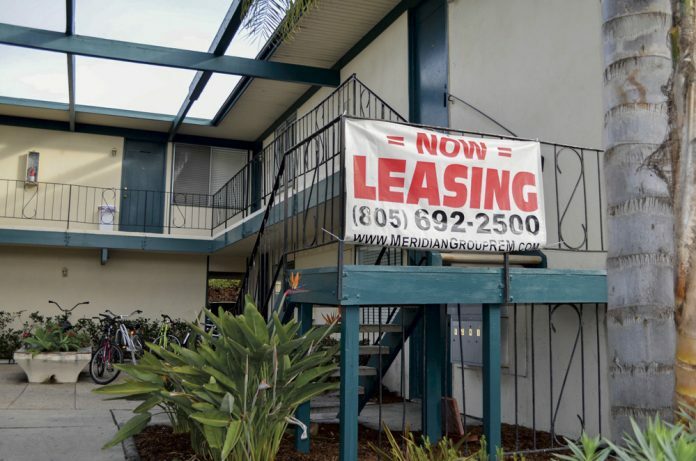 The IVCSD believes that the landlord/tenants mediation program will bring positive change to Isla Vista, because “right now the problem is you can either go to court or do nothing, so this middle ground gives tenants more of a voice,” said Abboud. Carpinteria, Santa Barbara and Goleta all enjoy similar programs already “with around an 85-87 percent success rate. We think this is something that will work for us too,” said Abboud.